Every month, I set out with some goals for the month. Some months I hit them and other months I ignore them. I thought it would be a little more beneficial to my success to make those goals public. A sort of accountability group for myself. 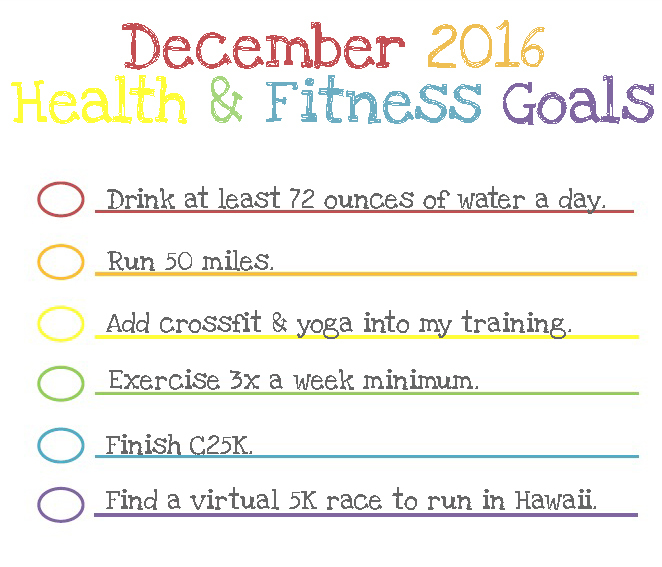 Each month, I will come share how I did with my goals and set some new ones. If I slack, please call me out. Sometimes we all need a kick in the pants. 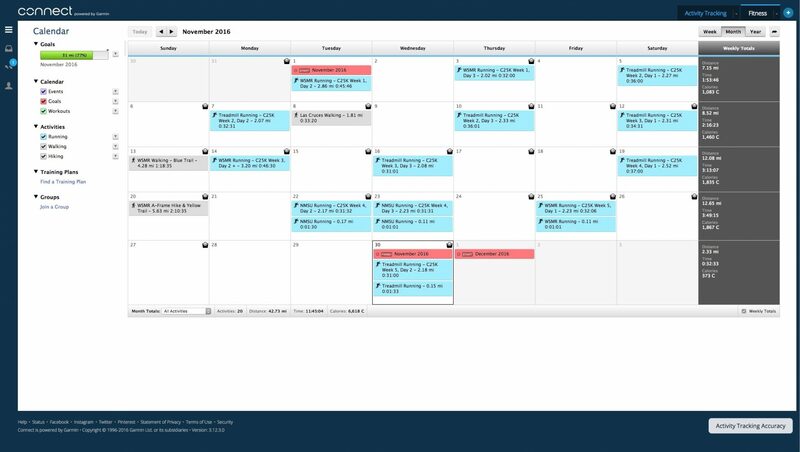 I didn’t do too terrible for November. I hit my goal of 64 ounces of water a day, 28 out of the 30 days in November. Soo close. I almost nailed my goal of exercising 3 times a week. Even hitting 4 times, most weeks. 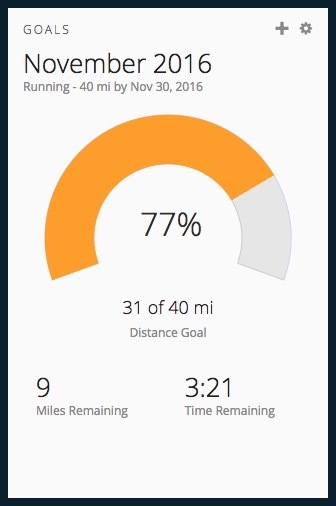 I totally failed my mileage running goal though. Such is life sometimes. These feel pretty lofty, with a 9 day vacation later this month, but as my daughter says, “go big or go home”. Good luck with your goals Lacey! I know you can do it.